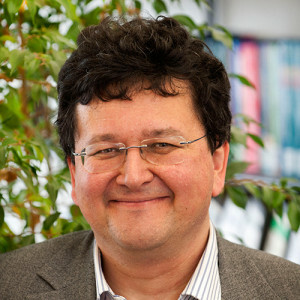 Prof. Holger Puchta holds the chair of plant molecular biology and biochemistry at the Karlsruhe Institute of Technology (KIT). After his PhD at the Max-Planck-Institute for Biochemistry in Munich he joined the laboratory of Barbara Hohn at the Friedrich Miescher Institute in Basel to work on DNA recombination in plants. As a group leader at the Institute for Plant Genetics in Gatersleben (IPK) he elucidated major mechanisms of DSB repair in plants. His research interests centre around somatic and meiotic recombination in plants and green gene technology. Meiogenix is a biotech company developing breeding technologies to unlock the unexplored genetic diversity of organisms. Meiogenix expands the natural biodiversity and helps developing new products to address global food and industrial challenges.